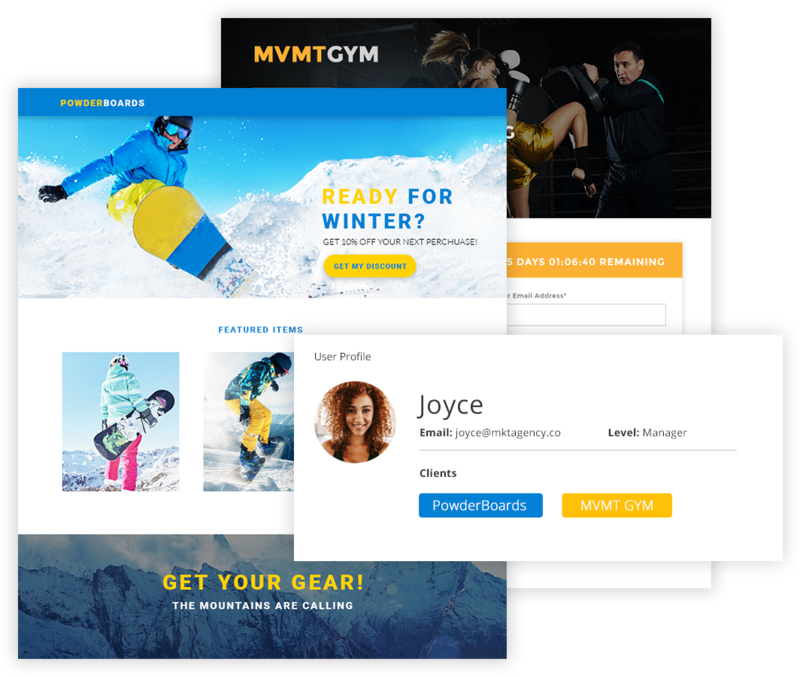 Powerful marketing software for agencies. 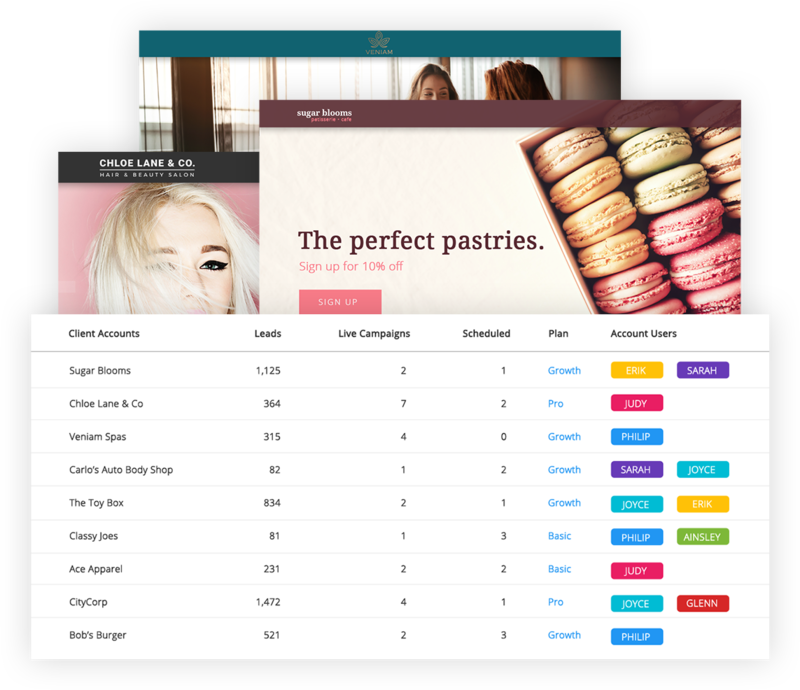 Manage multiple clients and users, create landing pages, popups, forms, promotions & email campaigns using Wishpond for Agencies. 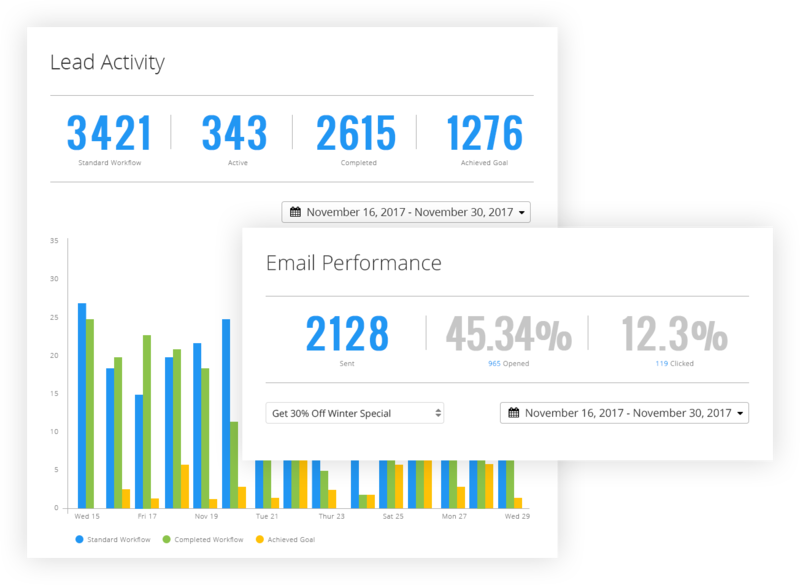 See your clients’ leads, live campaigns and scheduled campaigns in the Agency Dashboard. 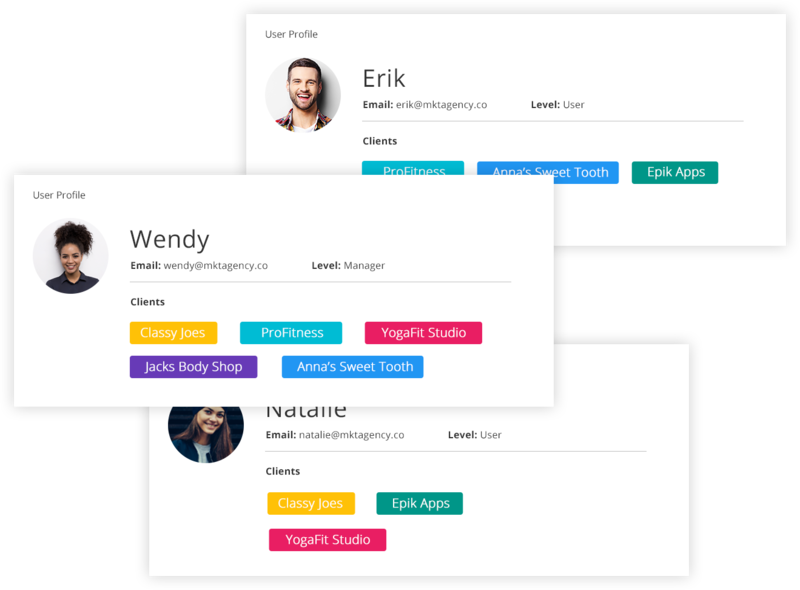 Create new accounts for each of your clients with a single click.  Access all of your clients’ campaigns from a single location. Quickly create new user accounts for your team members. Easily add team members to client accounts. See individual campaign results, updated in real-time. Limit the number of entries from each entrant. With Wishpond’s 300+ integrations – including email, analytics, sales, payment & collaboration apps – you can be sure we fit right in with the tools your agency already uses. Chat with one of our agency experts to get started with Wishpond.